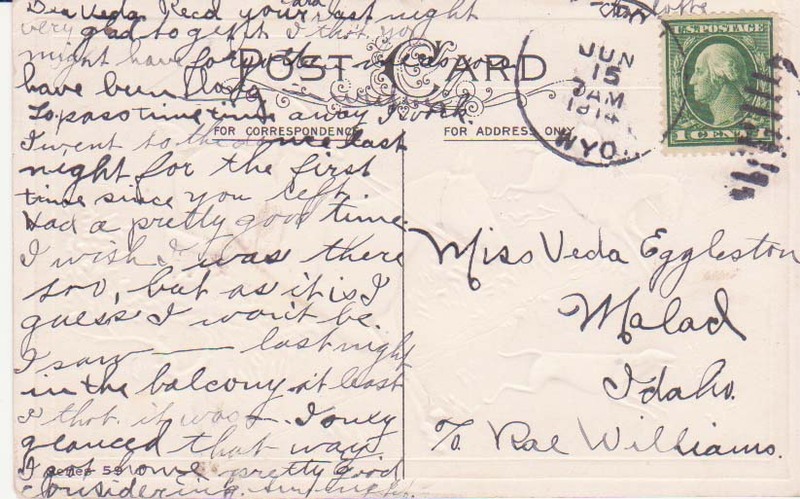 This should be the last of the postcards from Vedia Eggleston’s Postcard Book. 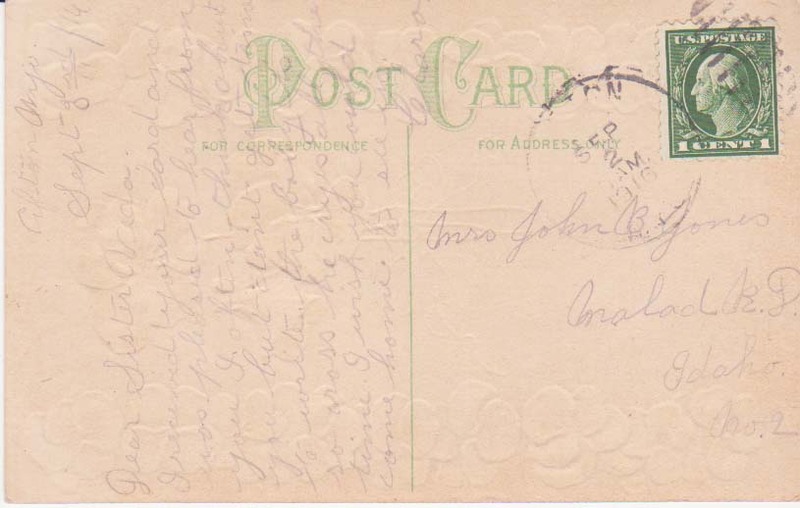 They provide more glimpses into the past century. 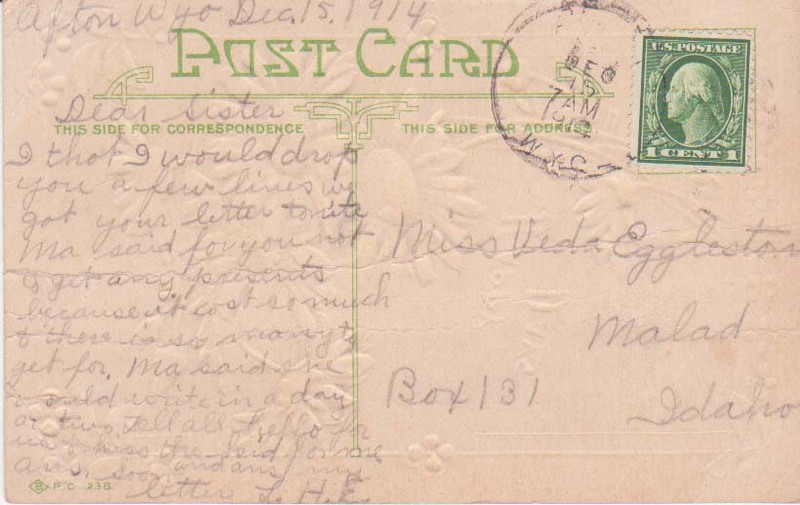 Veda was in Malad, Idaho in 1914, apparently was staying with her sister Rae. 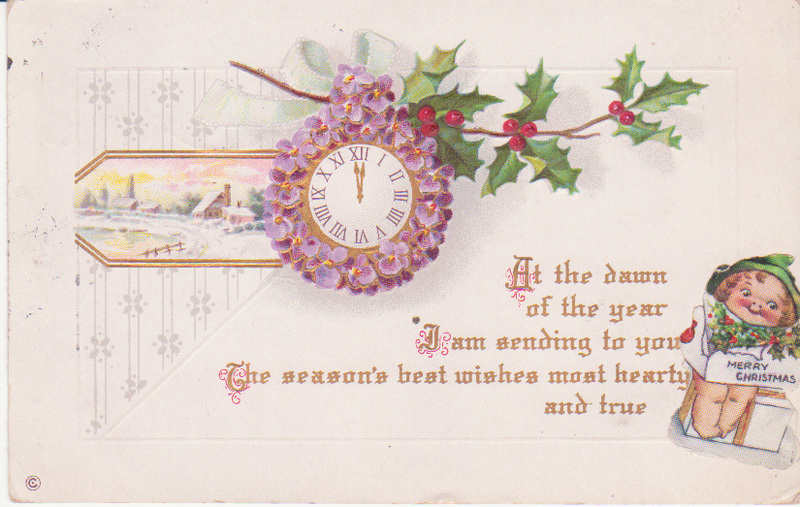 This card is from a friend Charlotte with news of social events. 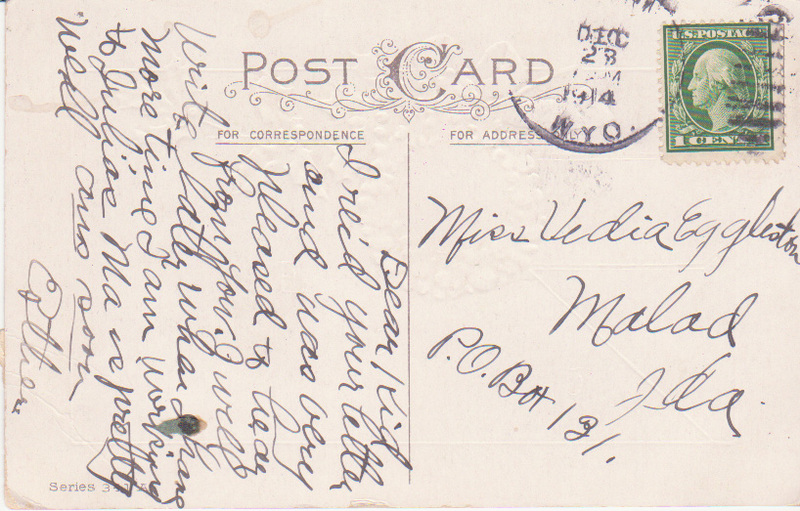 May 3, 1916, this card was sent from Afton, Wyoming to Aunt Veda in Malad, Idaho. 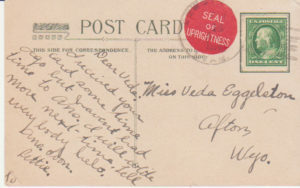 This is an earlier card sent in 1910 when Vedia was still in Afton, Wyoming. 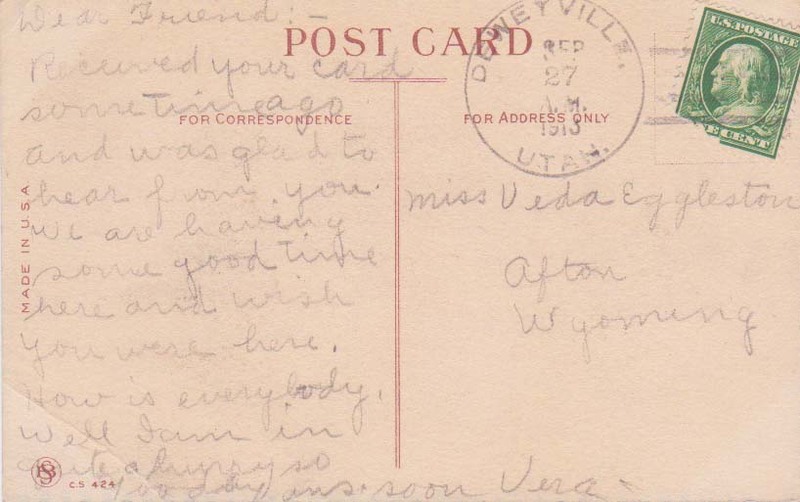 Vedia’s sister, probably Lottie, sent this card to Vedia in 1914 when she was in Malad, Idaho. 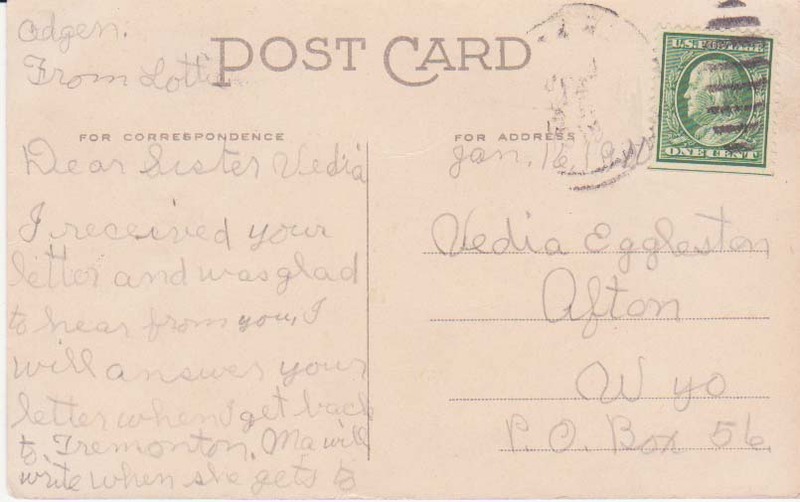 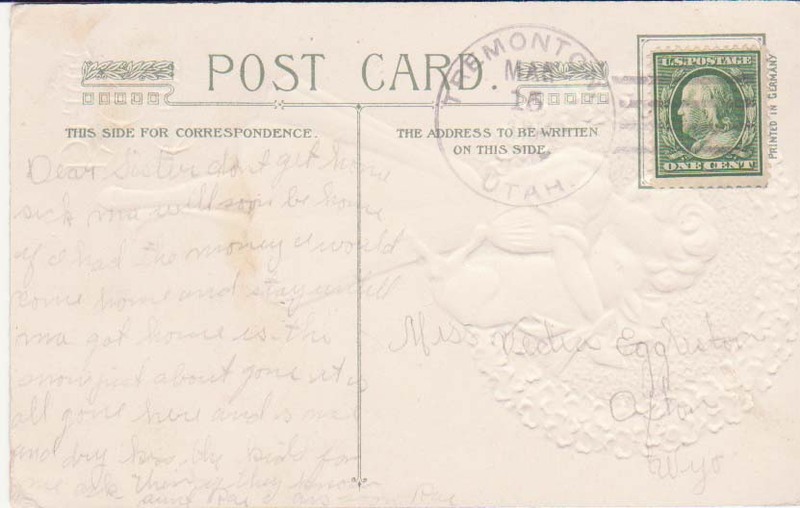 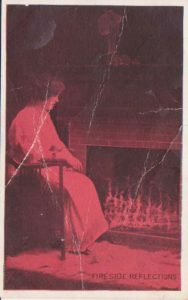 Another card from Vedia’s sister Lottie and sent in 1911 to Afton, Wyoming. 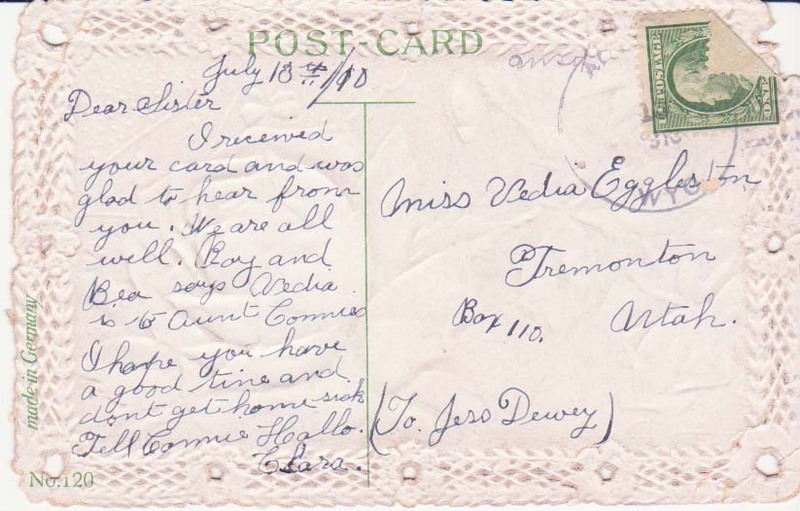 This card was sent from Deweyville, Utah in July 1913, It is from Veda’s sister. 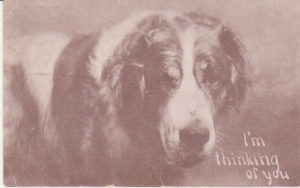 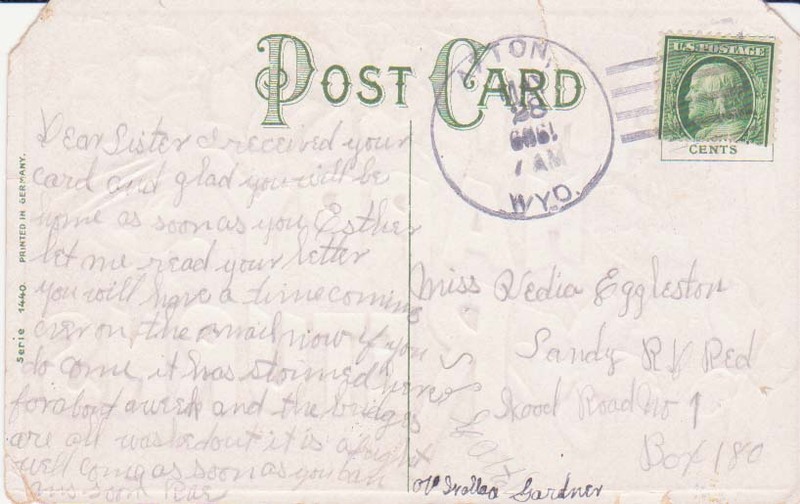 This card was from Veda’s sister Florence sent in April 1916 to Veda in Malad, Idaho. 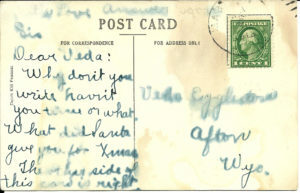 Vedia’s sister Rae from Tremonton, Utah sent this card to Veda in Afton, Wyoming. 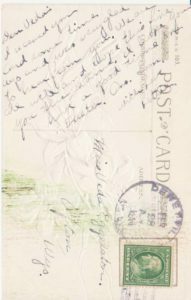 The postmark is Mar 15 and this card being green with shamrocks, it appears to be for St. Patrick’s Day. 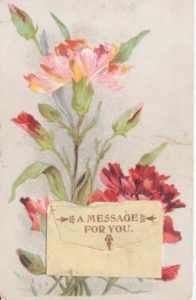 Virginia Dewey, daughter of Connie Dewey, sent this card to her Aunt Veda. 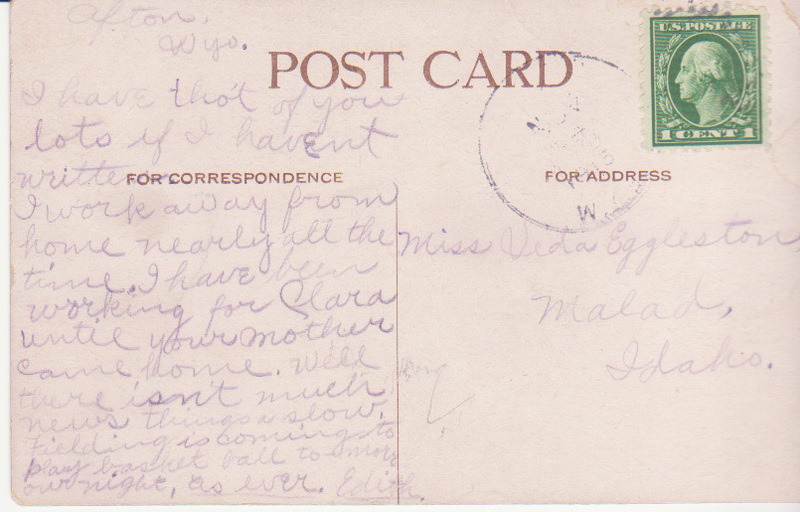 Addressed to Mrs. John B. Jones in Malad, Idaho, this card was sent to Vedia in 1916 after her marriage. 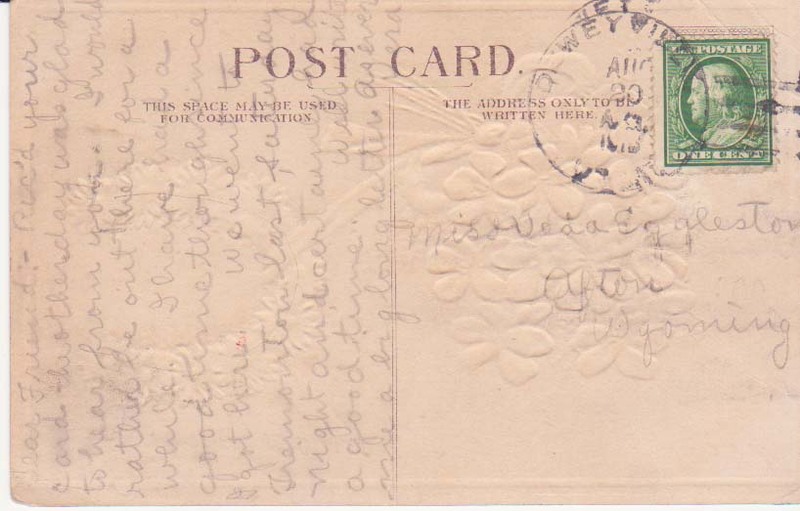 It is from her sister Clara in Afton, Wyoming. 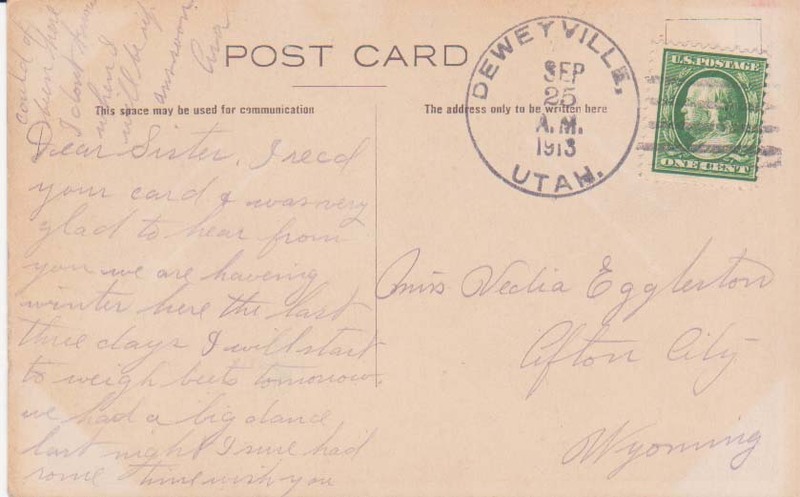 Sent from Deweyville, Utah on September 25, 1913, this card was from Vedia’s sister. 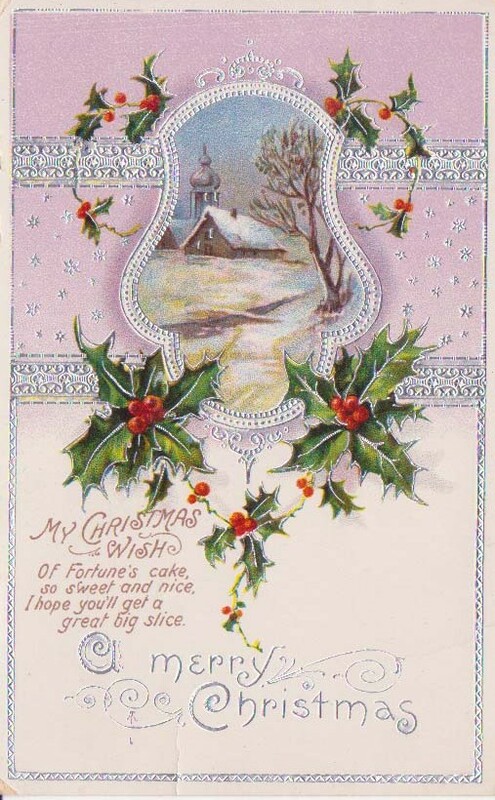 A card from a friend Vera in Deweyville, Utah. 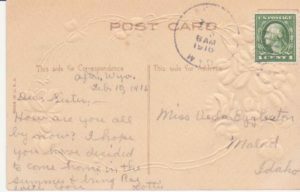 Veda was back in Afton, Wyoming. 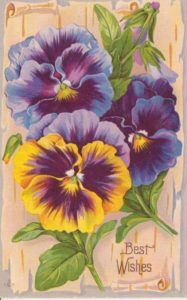 She had probably made friends with this Vera while visiting her sister Connie in Deweyville. 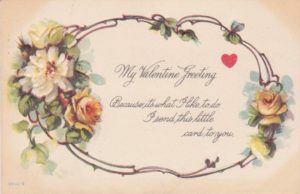 Another card from Vera in Deweyville, Utah. 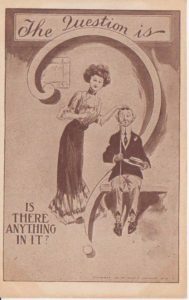 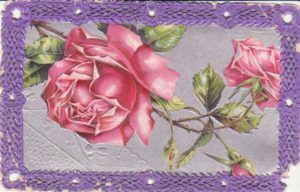 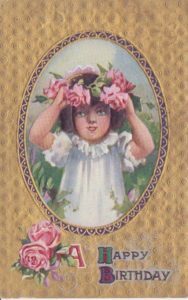 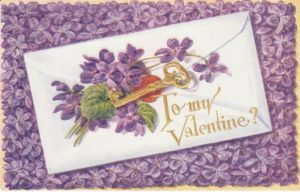 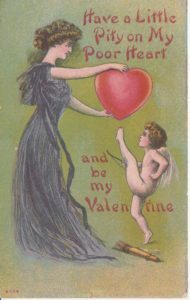 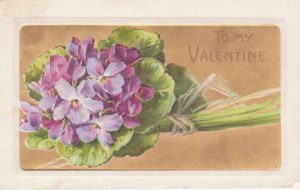 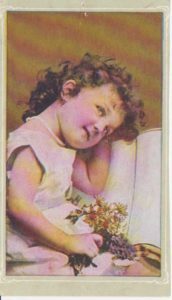 This card was sent to Vedia while she was in Tremonton, Utah in 1910. 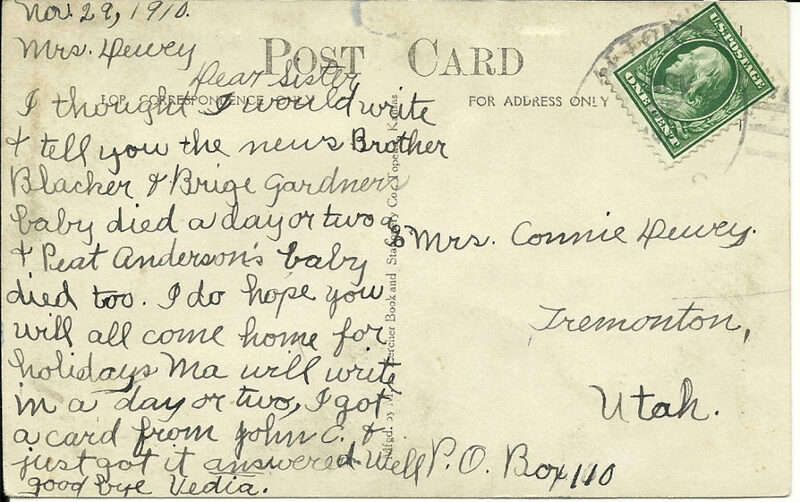 She was probably with her sister Connie, since her sister Clara says to tell Connie hello. 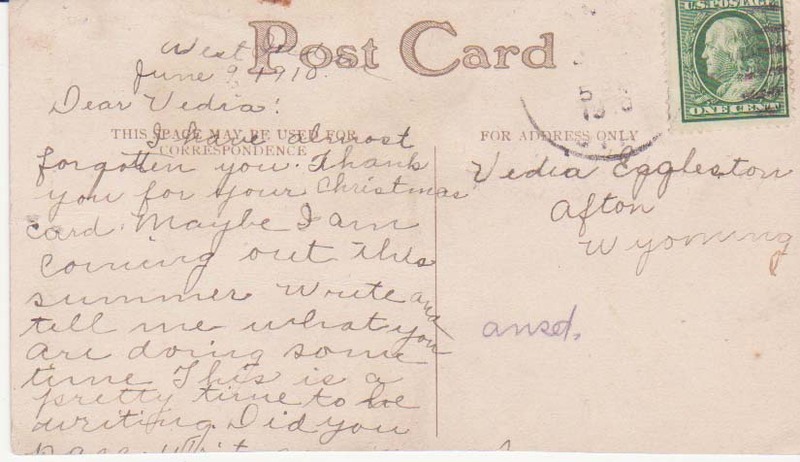 Vedia’s sister Rae sent this card to her from Afton, Wyoming. 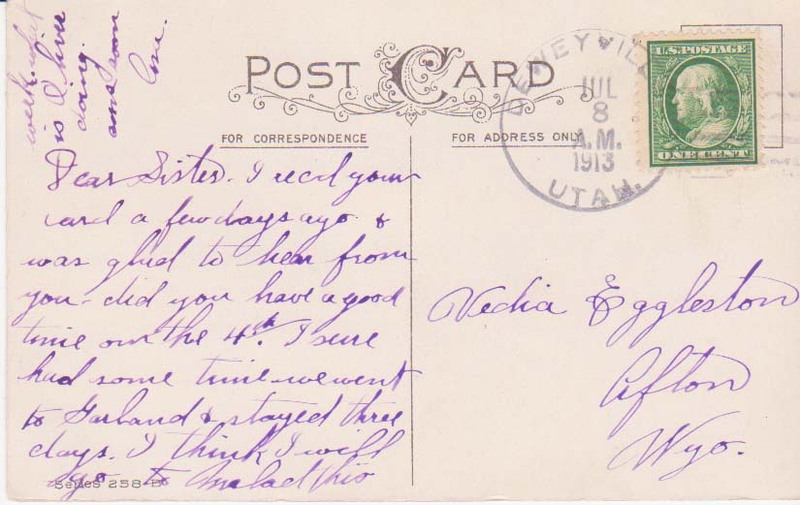 Veda may have been in Sandy, Utah. 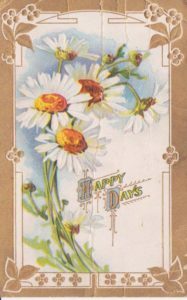 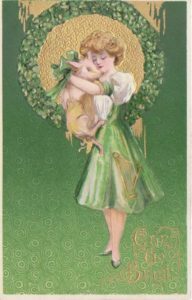 As Spring began to bring new life back to the earth and people prepared to celebrate Easter, festive greetings were sent through postcards to friends and family who were away. 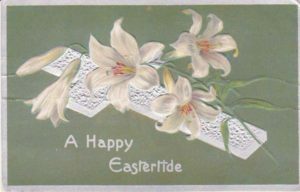 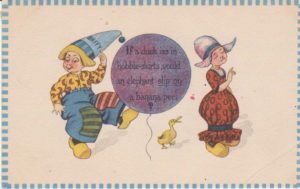 These cards from Vedia Eggleston’s Postcard Book contain Easter Greetings. 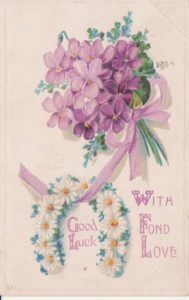 This card was sent to Vedia in Afton from her sister Lettie with wishes for a good time on Easter. 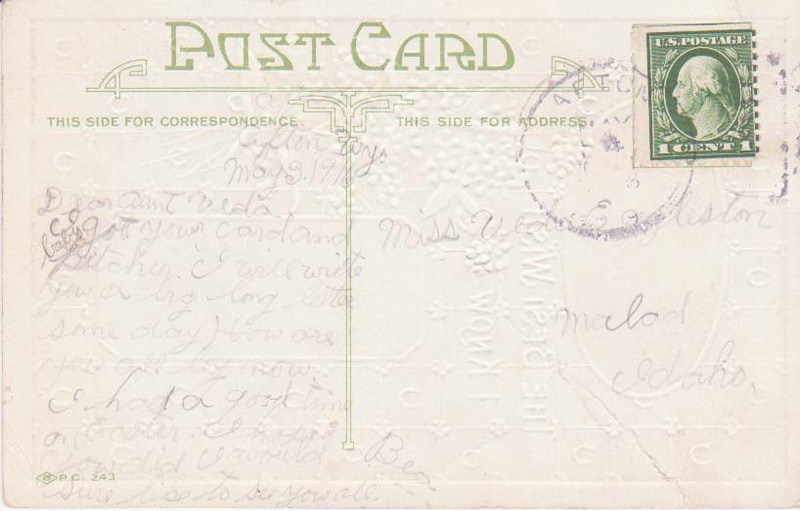 The postmark is smeared, but appears to be 1914 from Deweyville. 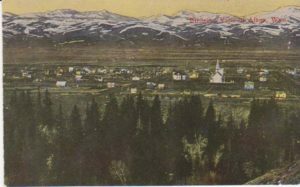 The First Christmas in Jackson Hole was celebrated with elk steaks, doughnuts fried in bear grease, music and dancing. 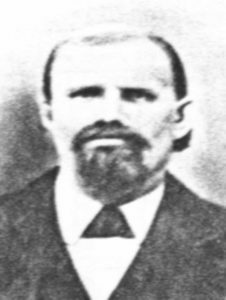 Sylvester Wilson had settled in Emery County, Utah in 1877 at a place that became known as Wilsonville. 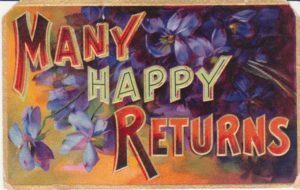 After almost 12 years in this drought stricken area, Sylvester Wilson decided to move and start again somewhere else. 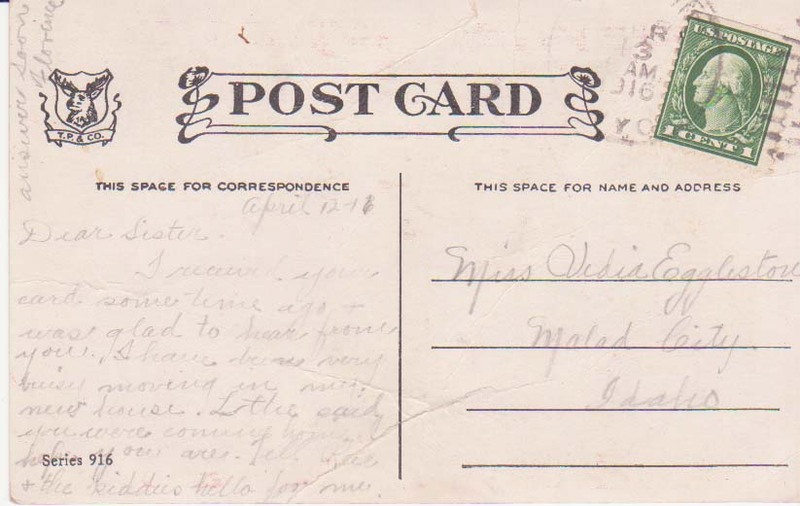 Sylvester and his family left Wilsonville at the end of May 1889. 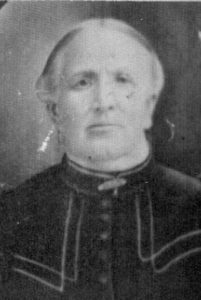 The group included Sylvester and his wife Mary, 9 unmarried children (the youngest being three) and two married children and their families. 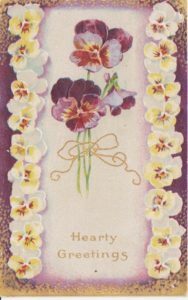 Mary Alice had married Selar Cheney August 10, 1879. 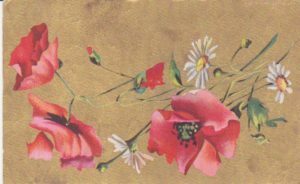 They had four children, but one died before they left. 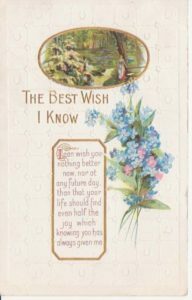 Ervin had married Mary Jane Davis June 26, 1888 and she was expecting their first child as they left. 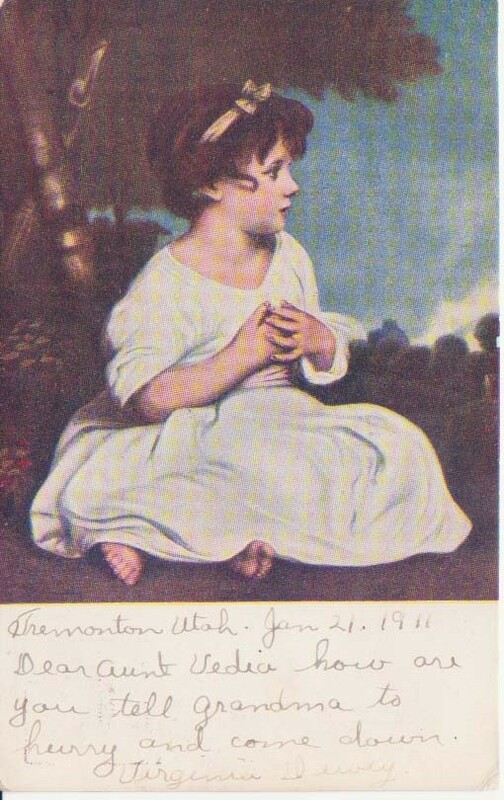 Their son James was born September 12 in St. Anthony, Idaho. 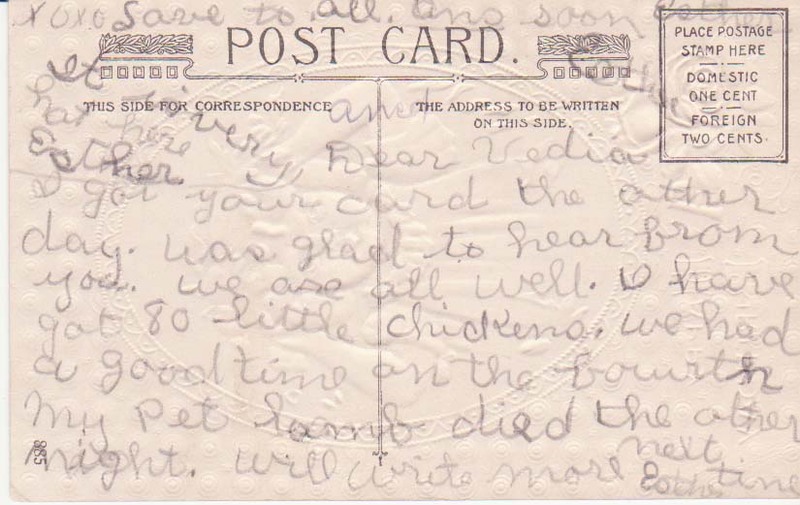 The family left Wilsonville with 5 sturdy wagons and about 80 head of cattle. 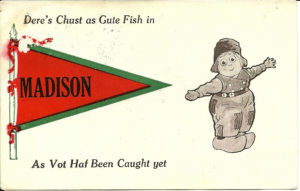 They also had at least 20 race horses, which Sylvester had taken as partial payment on their Wilsonville property. 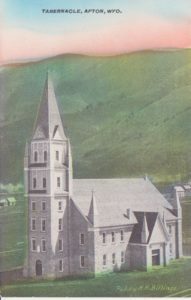 The trip to St. Anthony, Idaho was over 400 miles. 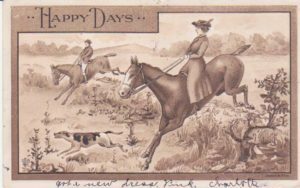 They averaged about 10 miles per day, trailing their livestock.